Green laundry detergent is something to consider for the safety and health of you and your family. For a natural green home cleaning, traditional laundry detergent is not the best product. 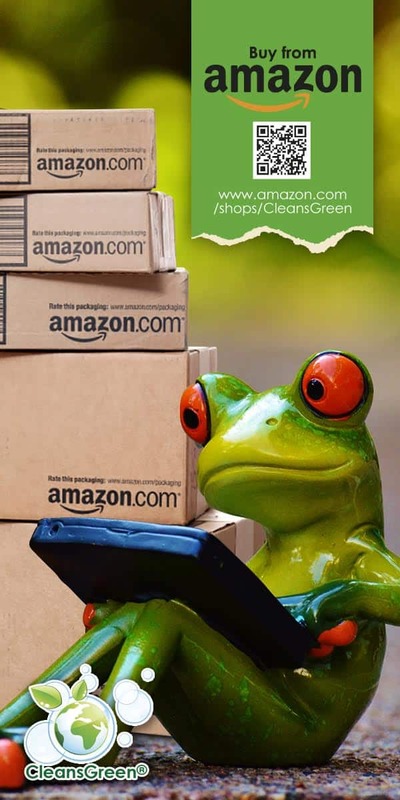 This article gives you plenty of reasons why you want to use green cleaning products and specifically green laundry detergent. We all take great pains to make sure our clothes are clean and fresh, but, ironically, the very laundry detergent that we use to make our clothes clean may actually be leaving them worse off than they were before we threw them in the wash. That’s because most commercial laundry detergent is loaded with potentially toxic chemicals that could harm you, your family, and the environment. This includes the most popular ones such as Tide laundry detergent and Gain laundry detergent. This is also true when you are looking for the best high efficiency (HE) laundry detergent. Laundry detergents contain phosphorus, ammonia, naphthalene, phenol, sodium nitilotriacetate, nonylphenol ethoxylate (NPE), and countless other chemicals. These chemicals can cause rashes, itches, allergies, sinus problems and more. Some of these chemicals have even been banned or restricted in Canada and the European Union (EU) due to their nasty side effects. The chemical residue left on your clothes, bed sheets, and other fabrics are absorbed through your skin, as is everything else you touch. Petroleum distillates, such as napthas: These have been linked to cancer, lung damage and/or inflammation, and mucous membrane damage; these are very harmful chemicals. Anionic surfactants, otherwise known as linear alkyl sodium sulfonates (LAS): These synthetic surfactants are commonly listed on labels and are one of the most common surfactants in use. During their production, carcinogenic and reproductive toxins such as benzene are released into the environment. They also biodegrade slowly, making them a hazard in the environment. Phenols, more commonly nonyl phenol ethoxylate or NPE: NPE is an endocrine disruptor and estrogen mimic that has been found to be highly toxic to people who are hypersensitive. NPE is rapidly absorbed into the body and affects the nervous system, heart, blood vessels, lungs and kidneys. The National Institutes of Health (NIH) has declared that phenol as toxic to people, especially those who are hypersensitive. Phosphates: These are used to prevent dirt from settling back into clothing. However, when released into the environment they cause the growth of certain marine plants which causes an upset in the ecosystem. The Scoop on Laundry Detergent provides more details. EDTA or ethylene diamino tetra acetate: EDTA is a class of compounds used as an alternative to phosphates to reduce mineral hardness in water, prevent bleaching agents from becoming active before they’re put in water and as a foaming stabilizer. EDTA does not biodegrade readily and can dissolve toxic heavy metals in the environment, allowing them to reenter the food chain. Optical Brighteners: They do not actually make fabric brighter; rather the brighteners are actually chemicals that change UV rays into visible light to give the effect of more vivid colors; they can give the skin a rash when exposed to sunlight. These chemicals are also toxic to fish. Fragrances/Perfume: Most of the artificial, synthetic fragrances are made from petroleum which has been linked to cancer, lung damage and inflammation; also very toxic to fish and mammals. Household Bleach (sodium hypochlorite): it can react with organic materials in the environment and toxic compounds can be created that can cause reproductive and immune disorders. Many who have families do laundry on a frequent basis and are exposed to these dangers posed by toxins at a higher concentration than they realize. Thus the type of laundry detergent used should not go ignored. As the awareness grows for the dangers of the chemicals found in laundry detergent, companies are beginning to shift their focus to a line of safer green laundry detergent. 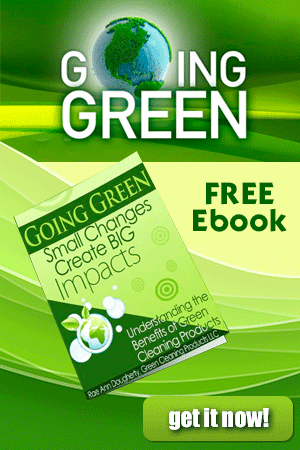 Many consumers are concerned that the green laundry detergent is more expensive and does not work. Fortunately this is no longer true. 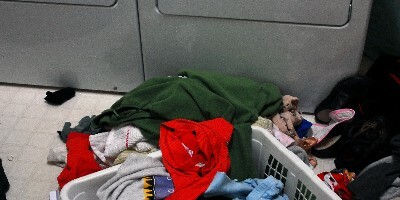 For a truly green laundry detergent there are many factors to consider, including: if it contains fabric softener, if an optical brighter is used, if it is hypoallergenic, what type of fragrance is used, kind of packaging (material and size); biodegradability, cost and application to standard or high efficiency (HE) washer. 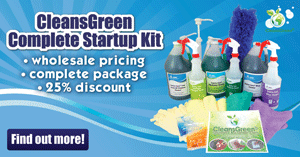 If you are looking for a GREAT green laundry detergent that works, check out our green cleaning products.